No, not my cat. Your cat! Do YOU have a cat better known for hissing, scratching, tearing up furniture and general "drive you crazy" type behaviors, than the cuddly, purring kind? 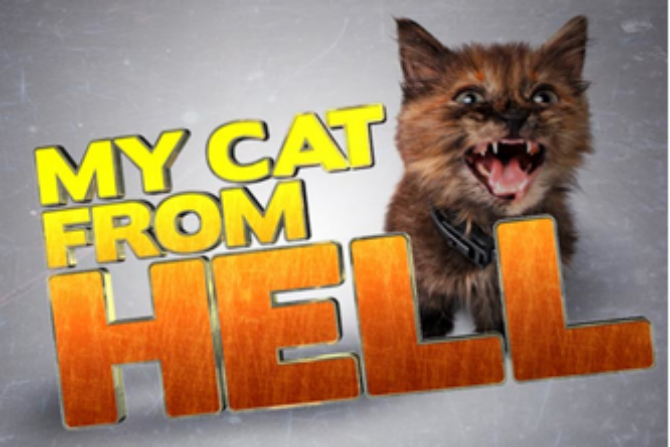 If so, then you just might have a chance to meet the amazing Jackson Galaxy and his My Cat From Hell show. Seriously. If you have not had a chance to watch this show on Animal Planet, check out the clip below featuring Ruby. If you are in the Austin area, and any of the above behaviors describe your super special cat, then this casting call is for you. See details below about how to contact them, and keep me posted if you do! Is your cat's behavior driving you or others crazy? Are you at your wit's end? JACKSON GALAXY, our expert cat behaviorist hasn't met a cat he couldn't help! From excessively growling, meowing, nipping, scratching, biting, ruining furniture, tearing the house upside down, escaping, etc., Jackson can help transform your cat back to the feline you love! Please include your name, age, city, contact phone number and who you live with. Tell us about your cat and how it's affecting your life/relationship. Include your cat's name, age, breed, where you got the cat and tell us, in detail, about your cat's behavioral problems and why you (or your family) are at your wit's end. Include pictures of yourself, your family members and of your cat!